The Ukrainian Ombudsperson Lyudmila Denisova was not allowed into the territory of the colony where the Kremlin prisoner Oleg Sentsov is kept, UNIAN agency reported on Facebook. representatives of the Russian Ombudsperson just drove past her at the gate to the colony. The corresponding video is published in the social network Facebook. Denisova called this move of the Russian side "disgraceful." Lyudmila Denisova noted that her Russian colleague flew to Labytnangi with her, but refused to go in the same car to the colony where Sentsov was imprisoned. According to the Ukrainian Ombudsperson, she has been at the correctional colony number 8 since 9 am, and half an hour after her arrival a motorcade of Moskalkova appeared and just drove past her. "Although she saw me very well. Such demonstrative behavior raises one question: How is she going to implement the agreements of the presidents, not to mention the implementation of guarantees for my unconditional unhindered visits to Ukrainian political prisoners, granted to me by the Russian president,” the Ukrainian Ombudsperson resented. 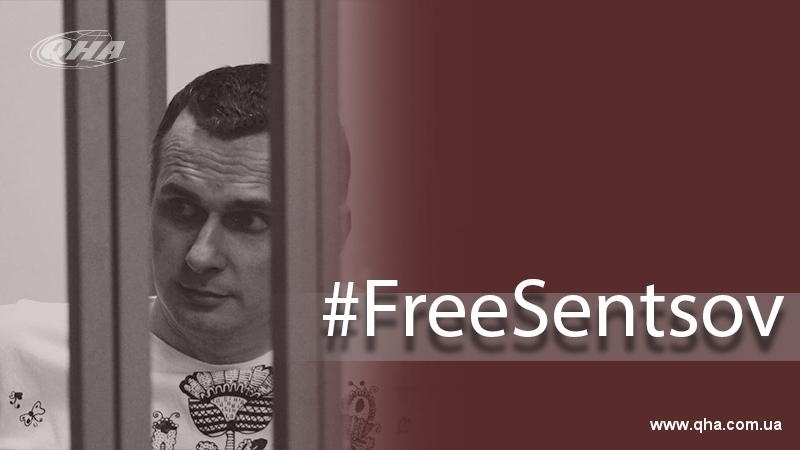 In turn, Ukrainian journalist, correspondent of UNIAN in Russia Roman Tsymbalyuk noted that "Russians are afraid to show Sentsov to the whole world." Previously, the Russian Ombudsperson said that she would not ask Russian President Vladimir Putin to pardon the prisoner of the Kremlin Oleg Sentsov. According to her, the law does not allow her to do this. Under Russian legislation, a request for pardon must be lodged by a convicted person. Earlier Lyudmila Denisova reported that the Russian side conceals information about the actual state of health of Ukrainian political prisoner Oleg Sentsov.